Hotel ibis budget Munich Putzbrunn. Book now! Free Wifi! 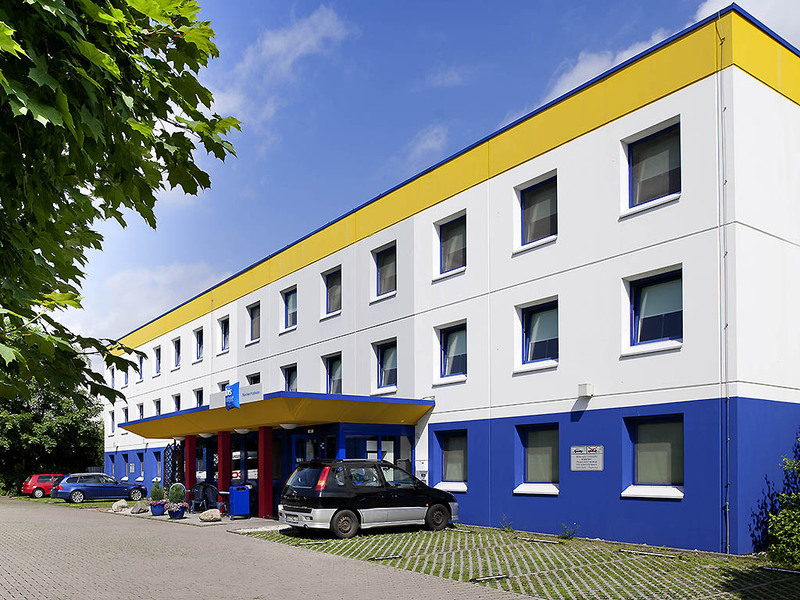 The ibis budget Muenchen Putzbrunn is located on the edge of the city around 0.9 miles (1.5 km) from the A99 highway and has good transport links to the city center. The hotel has 67 comfortable rooms for up to 2 adults and 1 child under the age of 12. Surf the Internet with our free WIFI access and start your day with our buffet breakfast. Free parking is available at the hotel. Discover the unbeatable combination of comfort and a low price. ibis budget offers comfortable, modern rooms, a delicious buffet breakfast and free WIFI throughout the hotel. We stayed just 1 night on our way to Austria. The small room has everything you need: a good bed, a shower and a toilet. Basic but clean accommodation. Very friendly staff. Excellent value for the price (also when including breakfast). Quiet area. Easy parking and also easy access to city center with public transportation (bus plus metro). Clean and friendly! Easy parking ,quiet neighborhood! You should install a hairdryer in the rooms. Pleasant, although in a 'no frills' hotel. Ibis budget continues to offer a reliable hotel, where you know what to expect. Price was higher than usual due to a specific event (Electronica exhibition) that made all hotel prices in Munich to go crazy. Room on ground floor. Very quiet. Cleaning linen and towels, comfy beds. Plenty hot water. Dog with us and this was allowed in for 6 euros. Only down side....shower was not thermostatic and ran to very hot when my husband flushed the toilet, scalding my back. During the evening there was a group smoking and drinking beer at the entrance door, this was a bit intimidating when opening the door,they also had a dog running around off lead, it was not aggressive but inquisitive and they made no effort to call it backfrom us and there was poo lying on the door step in the morning. Perhaps some poo bags and a sign might help, difficult, I know to control,but worth considering,as it affects all other guests. The room was clean and comfy, however the first night one of three rooms booked wasn't ready. The major problem was that at late hours (where no reception was available) we couldn't find any telephone number to call. So I can imagine if there is a problem with a reservation and arrive later than 22:00pm, no support can be given, even by phone. The service was good (cleaning and taking out the trace every day). The hotel was very quiet and as a result I slep well. The breakfast was just what I needed. The staff were very polite and helpful. rooms upstairs, no elevator and that was very hard. it is not a business hotel anymore! The room was clean and tidy, and the bed was comfortable enough. Needed cash for the vending machines would have been an issue, but fortunately we had pre-purchased some drinks and snacks. Plus the Italian restaurant nearby was great. Very clean and friendly staff, the dog is adorable. Had a good stay and would stay again. For what we needed it, it was perfectly fine!